The One Belt One Road initiative is being spearheaded by the Chinese government to improve trade and economic integration across Asia, Europe, and Africa. The strategy uses free-trade agreements and infrastructure projects – including roads, ports and railways – to create a modern Silk Road spanning some 65 countries, which have a combined gross domestic product (GDP) of US$21 trillion. It includes both an economic land “belt” through Eurasia, and a maritime “road” to connect coastal Chinese cities to Africa and the Mediterranean. The belt is the physical road. What they call the road is actually the maritime Silk Road, in other words, shipping lanes. 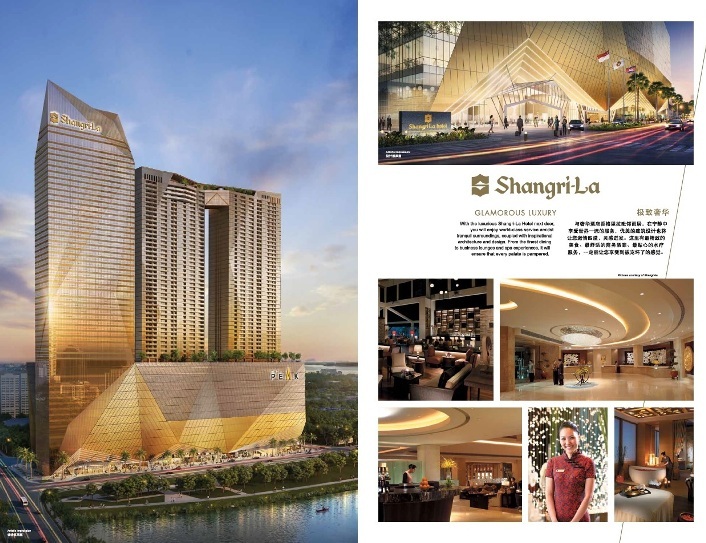 It’s very ambitious project which covers about 65 percent of the world’s population, about one-third of the world’s GDP, and about a quarter of all the goods and services the world moves. The One Belt One Road Initiative (BRI) is a large-scale strategy designed to drive bigger and faster trade and capital flows between the east and the west. Covering two trade routes – an overland route connecting Europe and the Middle East to China by way of Central Asia, and a maritime route that connects China, South East Asia, India and Africa – the overall objective is to increase regional trade and encourage economic cooperation. 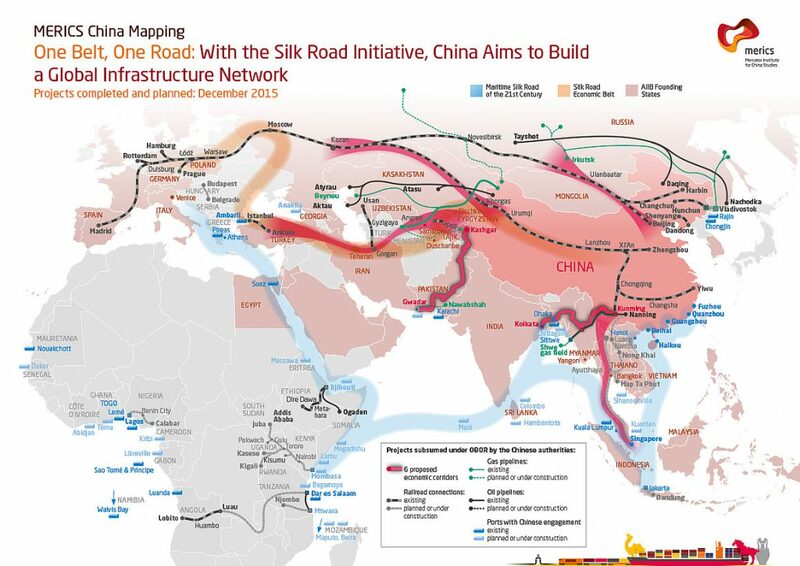 China established the US$40 billion Silk Road Fund in early 2014 to fund the scheme’s infrastructure projects, including the creation of six economic corridors by building roads, railways, pipelines and highways. Additional financing will come from the Asian Infrastructure Investment Bank (AIIB), the China-backed global bank launched in October 2014 and the New Development Bank (NDB), a Shanghai-based bank for the BRICS (Brazil, Russia, India, China, South Africa) countries. Estimates indicate that BRI infrastructure in Asia alone will cost USD1.7 trillion a year through 2030. While the recently established Asian Infrastructure Investment Bank (AIIB), Silk Road Fund and the New Development Bank have already committed approximately USD1.1 trillion – the amount of infrastructure needed far surpasses the cash available to pay for it. This funding gap means that additional capital-raising and investment activity both inside China and out is necessary. The One Belt One Road initiative is expected to create jobs and opportunities for people and businesses along the routes as well as companies and investors around the world in areas such as infrastructure, finance, trading, logistics and professional services. Opening up trade corridors will also make it easier for businesses going into and out of China to reach the growing middle classes, which could number more than 4 billion by 2021. In the decade that follows, it is anticipated that 66 per cent of the world’s middle class will live in Asia – many along the Belt and Road. As a result, there will be an increasing demand for a wide range of goods and services as more people become major consumers with a growing disposable income for the first time. Companies inside China are not the only ones who will gain from the initiative. 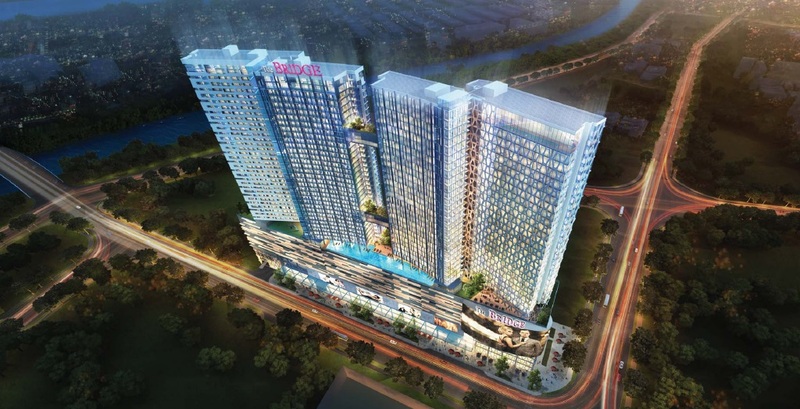 BRI is likely to result in opportunities throughout the infrastructure supply chain, from the largest construction firms to small specialist providers. Belt and Road may be a Chinese initiative, but it is a global effort involving developed and developing countries, and international organisations. Pan Asia Railway is part of the One Belt One Road initiative. It connects the majority of South East Asian country to China. 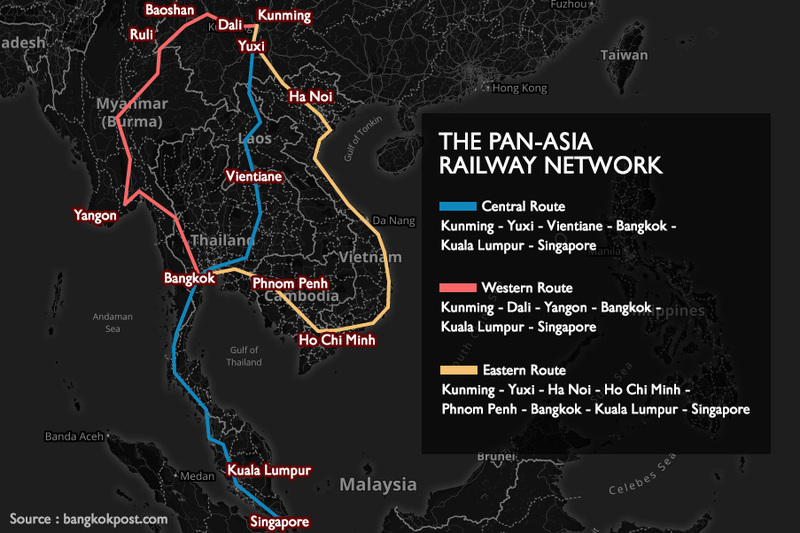 The Pan Asia Railway will be divided into 3 routes: West, Central, and East. This railway will improve the connectivity and economy of the South East Asian Country and the grow of property price along the route. Immigration and fiscal regulation is the barrier to the physical infrastructure. Border control and customs to track access arrangements for infrastructure thus every jurisdiction involved will need to consider how best to ensure that there is integrated approach. OBOR is not a single project. It will involve multiple projects of different types, many essential for OBOR to operate as an integrated network but with each one being delivered using one of many different procurement and contract models. Projects may be funded in one currency, built in another and operated in yet more currencies across different parts of the project, with revenues also being generated in yet more. Currency risk hedging arrangements are common but also complex. They are notoriously fertile ground for dispute and will require careful structuring. This international infrastructure project will require massive amount of funding. 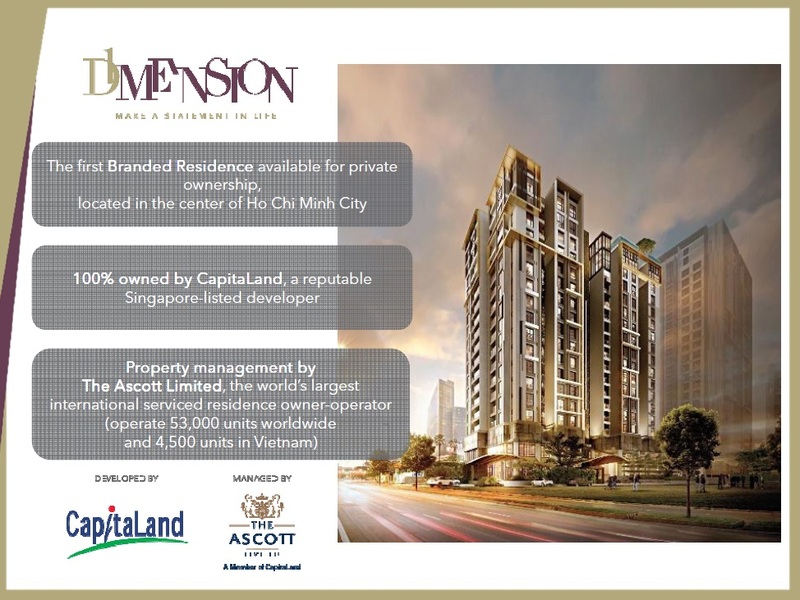 Substantial reserves already made available but considerable amounts of additional private finance will also be required. Many OBOR projects will additionally be affected by political instability, concerns over the sovereign country’s ability to meet its obligations or long lead times from the point of inception to operation at planned capacity. OBOR is international project involving participants from many countries. Deciding which law will govern the project will be critical when dispute arise. Certainty of law and the speed/effectiveness of enforcement procedures will be important consideration.